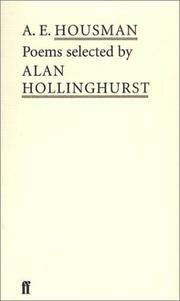 Selected prose: Edited by John Carter. 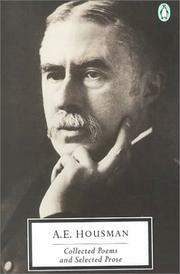 Thirty Housman letters to Witter Bynner: Edited by Tom Burns Haber. 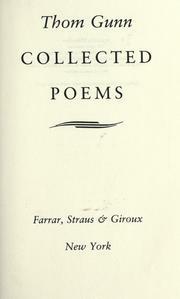 Complete poems: centennial ed. with an introd. 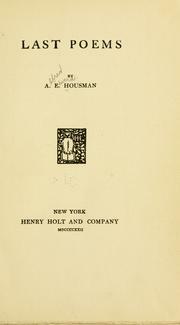 The works of A.E. 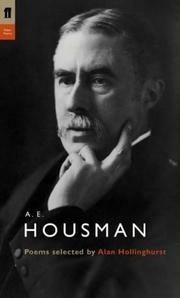 Housman: with an introduction and bibliography. 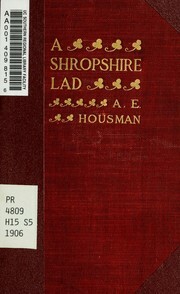 Six poems: from 'A Shropshire Lad' and 'Last poems'. 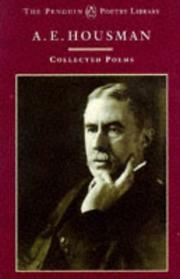 A centennial memento: with excerpts from A. Shropshire lad, and Fragment of a Greek tragedy. [For my funeral]: Trinity College. 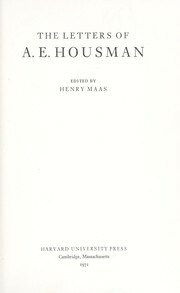 Housman on Plautus: manuscript notes in the Rudens of Friedrich Marx (1928). A.E.H. 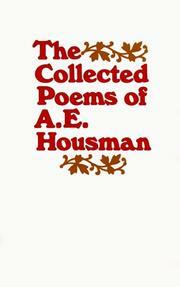 : some poems, some letters and a personal memoir by his brother Laurence Housman. 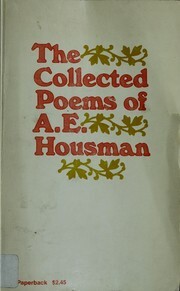 The manuscript poems of A.E. 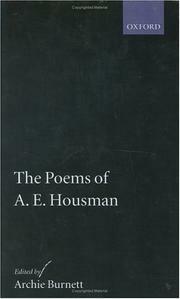 Housman: eight hundred lines of hitherto uncollected verse from the author's notebooks. Manuscript poems: eight hundred lines of hitherto uncollected verse from the author's notebooks. 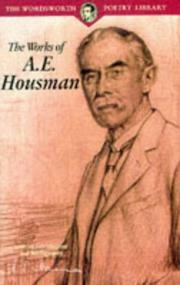 Are you sure you want to remove A. E. Housman from your list?